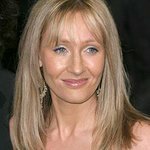 J.K. Rowling is the author of the bestselling Harry Potter series of seven books, published between 1997 and 2007, which have sold over 450 million copies worldwide, are distributed in more than 200 territories, are translated into 78 languages, and have been turned into eight blockbuster films. She has written three companion volumes in aid of charity: Quidditch Through the Ages and Fantastic Beasts and Where to Find Them in aid of Comic Relief; and The Tales of Beedle the Bard in aid of her children’s charity Lumos. Published in 2008 it was the fastest selling book that year and has raised millions for the charity. In 2012, J.K. Rowling’s digital company Pottermore was launched, where fans can enjoy her new writing and immerse themselves deeper in the wizarding world. Her first novel for adult readers, The Casual Vacancy, was published in September 2012 and her first two crime novels, written under the pseudonym Robert Galbraith, were published in 2013 (The Cuckoo’s Calling) and 2014 (The Silkworm) respectively. 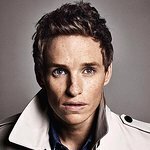 On April 14th 2015, J.K. Rowling’s 2008 Harvard commencement speech will be published as an illustrated book, Very Good Lives: The Fringe Benefits of Failure and the Importance of Imagination, in aid of Lumos and university –wide financial aid at Harvard. As well as receiving an OBE for services to children’s literature, she has received many awards and honours, including France’s Legion d’Honneur and the Hans Christian Andersen Award. J.K. Rowling supports a number of causes through her charitable trust, Volant. She is also the founder and president of the international children’s non-profit organization Lumos, which works to end the institutionalization of children globally and ensure all children grow up in a safe and caring environment. Google trends for "JK Rowling"